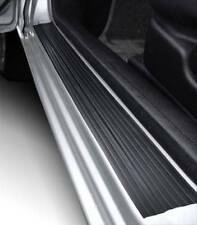 E-Tech Black Door Sill Guard and Lower Bodywork Protector 2.36m 96"
The pod has adjustable feet that will allow the gauge to tilt or rotate 360° so a precise viewing angle of the gauges can be achieved. Can be Painted. Triple Rotating Gauge Pod. 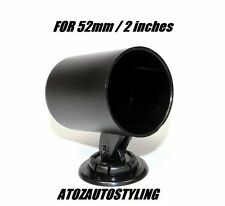 AtoZ Autostyling is the market leader for car accessories and parts. E-TECH SILL GUARD. Self adhesive. 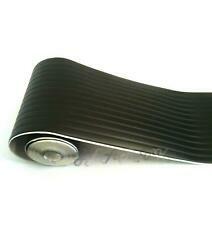 Contains one 2.36m x 9cm roll. STAINLESS STEEL Bezel Analogue Clock 52mM. The analogue clockincorporates the following features • Suitable for both 12V or 24V vehicles. • Classic clock design suitable for any vehicle and available with a stainless steel ABS bezel. Remote reset and 12v operation OE style face. Could also be very easily fitted to any classic model car or van. Suitable and fitting for all Classic's or Kit cars. 12V & 24V 15amp twin water resistant sockets with strong injection moulding housing. 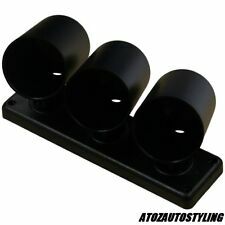 AtoZ Autostyling is the market leader for car accessories and parts. Ideal for internal or external use. The strong injection moulded mounting bracket allows for a variety of moulding positions and is supplied with all necessary fittings. The detail trim is easy to cut, shape and install. Adds an instant and exclusive styling upgrade to any panel. Ideal for bumpers, body panel contours & edges, sills, front & rear diffusers, surrounds for headlights, grilles & number plates. 52mm Rotating Gauge Pod. This is the Gauge Pod only, Gauge is not included. Both vertically and horizontally adjustable. E-TECH SILL GUARD. Self adhesive. Contains two 2.36m x 9cm rolls. 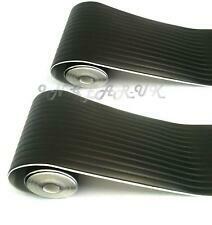 E-Tech Black Car Van 4x4 Door Sill Bodywork Guard Protector. The E-TECH Sill Guard has a self adhesive backing to make fitting easy. In event of a very unlikely slight delay, your patience would be much appreciated. Black Bezel Analogue Clock 52mM. The analogue clockincorporates the following features • Suitable for both 12V or 24V vehicles. 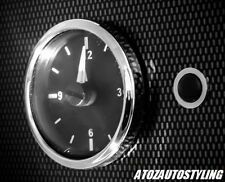 • Classic clock design suitable for any vehicle and available with a black ABS bezel. REVOLVING GAUGE POD 52mm / 2". The pod has an adjustable foot, enabling it to tilt or rotate 360° enabling perfect viewing angle. AtoZ Autostyling is the market leader for car accessories and parts. 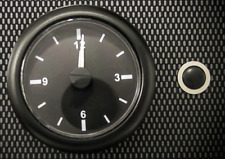 BOXE-TECH ANALOGUE CLOCK - Black with Black Bezel. 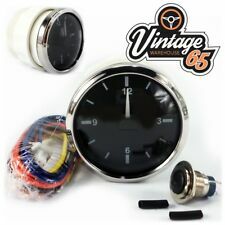 The analogue clock incorporates the following features • Suitable for both 12V or 24V vehicles. Classic clock design suitable for any vehicle and available with a black bezel. 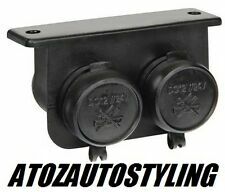 Black and Red On Off Switch Red Illuminated on/off rocker switch Size 42mm x 34mm In a panel that is ideal for mounting in or under a vehicle dash board 12V 20 amp . With specially raised padded hand holds and a perforated texture to give you a firm hold on the cover. LEATHER LOOK STEERING WHEEL COVER. Suited to fit most car steering wheels. Black leather look with read stitching.